When you align with your natural talents and natural soul…magic happens! It is the key to creating the life that you want. You end up in the right relationships, careers and overall quality of life! Transforming or creating your life doesn’t happen over night. It takes exploring, a vision and being you! I want to help empower you to achieve what is important in your life! Life is meant to be joyful!! Constant worry and stress about things like family, relationships, finances, or work problems are detrimental to your mental, physical and emotional health. Too much stress in an area of your life means somethings needs changing, an adjustment or an ending. Not living a life that is authentic and natural to who you are (or as close as you can get) can have a negative effect on your body….on your soul. It doesn’t all have to change all at once…but it does take a starting point in at least one area…to get the ball rolling. “A half-lived life”, as Herman Melville describes it, “is one in which we do not get to that inner place of peace and joy. Perhaps the most devastating scenario imaginable is to face death knowing that because of some imagined fear, you have always chosen a half-lived life in which you avoided doing the things your heart beckoned you to do. I urge you to change the scenario now. Start living your life with the courage to follow your heart”. There are many ways that I can help you. My life experience alone is invaluable. I have been a banker and a successful business owner…and I have made all the changes that you want to make. I have also been lost…thought I had it all together only to find it was all falling apart. And found the strength to get back up…re-connect with who I was, and create a life that is authentic to me. I have helped many people move forward, discover passions, heal, reach goals (big and small) and create great lives! I was also blessed with many intuitive gifts. 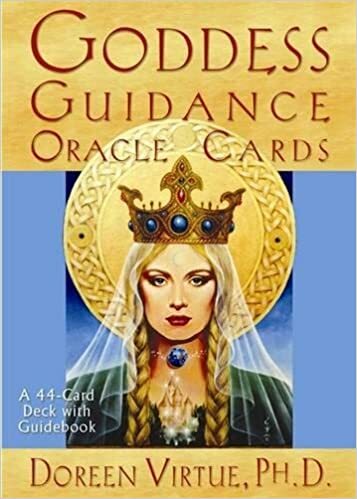 I do Oracle Card Readings (and send them to you via Email monthly – can be cancelled anytime), and Life and/or Career Coaching Sessions. During sessions, I may sense where you are stuck and help bring that to light during the session, or I may pull an Oracle Card(s)…from the below 9 decks, to help gain insight, perspective, guidance, clarity and inspiration towards moving you forward and towards your goals. Your job is to show up, do the work and gently release anything — thoughts, emotions, beliefs and patterns — getting in the way of a more authentic life. If you would like to book an appointment, the best way to communicate with me is by emailing me at kathyvanderkrabben@gmail.com. Or please feel free to text me at 1-807-464-5067 (Pacific time zone) and I will get back to you asap. If you text and don’t hear back within the day…I could be out of cell phone range. Please then just send me an email. * Payment options: Paypal (MasterCard, Visa, Debit) or E-mail transfer. I have a gift of being able to connect with your Angels and Guides to select the exact card that will give you the best clue to help you move towards your goal, heal or aid you in the situation that you are presently experiencing. Your reading is $20.00 Cdn and can be cancelled at any time. “Kathy has a special gift to lead you back to your true heart and soul. Whenever I need guidance or words of wisdom, she just knows what I need to “hear” at that moment and a sense of warmth and peace fills me. It is always hard to take that first step for ourselves, but take it…you deserve to be who you were meant to be! Thank you Kathy for your healing gifts…and “wow…these cards really spoke to me!” ~ Grace, Chicago, Ill.
“You have a unique ability to get to the “core” of someone’s pain and gently guide them to discovering their path to healing. I have had this sense of peace and belief that I can accomplish anything now. You are so talented! And thank you for your intuitive messages…wow” ~ Grace, Chicago, Ill.
“Kathy’s way of meeting people where they are at relaxes and motivates them towards their full potential of becoming free and joyful in their lives. I have known her for several years, and have seen the affect of her impact on friends and clients. I consider her to be one of the brightest stars in my hemisphere.” Alan Oakley, Spiritual Counselor, messenger, and mystic…. “Thank you so much for your suggestions after our last session…I FEEL AMAZING! !” ~ B. Appleby, Toronto, ON.